Gallbladder removal is one of the most commonly performed surgical procedures done by general surgeons. Approximately 20 million people have gallstones in the United States, of whom 300,000 people undergo gallbladder removal every year. If you have gallbladder problems that necessitate removal, seek a consultation with Dr. Rolando H. Saenz at San Lucas Surgical Associates in Downtown, San Antonio, Texas. Dr. Saenz is highly experienced and skilled at using a cutting-edge, minimally invasive laparoscopic approach to perform the procedure. To find out whether the laparoscopic approach might be right for you, call today to schedule an appointment. A gallbladder surgery, or cholecystectomy, is a procedure to remove the gallbladder. The gallbladder is a pear-shaped organ that sits just below the liver. Gallbladder stores digestive juice called bile, which helps in the digestion of fats. Why is it necessary to remove the gallbladder? You are advised to get the gallbladder removed if you have gallstones that cause symptoms or your gallbladder is inflamed and swollen, a condition called cholecystitis. Gallstones are hardened deposits of bile that form in the gallbladder. Most people with gallstones will not have any symptoms and may not know about having them. In fact, four in five people will go for more than 20 years without any symptoms. People have to undergo surgery if they have severe abdominal pain, indigestion, and bloating. Cholecystitis occurs when bile gets accumulated in the gallbladder because of blockage of the bile duct. The bile irritates the walls of the organ, leading to inflammation, swelling, and tenderness. Because of this, you may experience nausea, fever, abdominal pain, bloat, and jaundice. If not treated on time, the inflammation may become chronic. 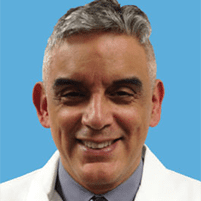 Dr. Saenz gives you specific instructions before the surgery is scheduled. You should not eat anything the night before surgery. On the morning of surgery, you can take the required medications with just a sip of water. He may ask you to stop taking certain medications, as they may interfere with bleeding. Gallbladder removal can be done laparoscopically or by the open method. Dr. Saenz makes the recommendation based on your case and goes over the details of the procedure with you before the surgery is scheduled. Nearly all gallbladder surgeries in the United States are done laparoscopically, with only a few cases requiring the open method. You will remain under general anesthesia throughout the procedure. Dr. Saenz will make few tiny incisions on your abdomen and insert a thin tube and other operating instruments. The scope is attached to a camera, which allows him to see your gallbladder on a screen. He removes the gallbladder carefully, and the small incisions are closed with either skin staples or medical glue. You may go home on the day of surgery with specific instructions for post-operative care. The recovery is fast, and you can return to your routine in a week’s time. To know more about minimally invasive laparoscopic gallbladder surgery, call Dr. Saenz today.